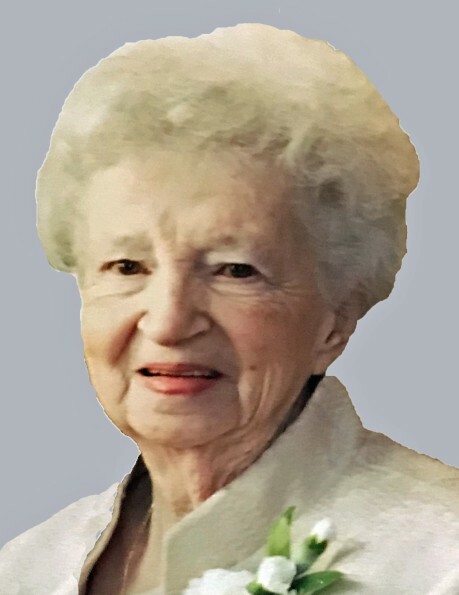 Marilyn Jean Boswell, 86, of Greensburg, died Monday, Aug. 13, 2018. She was born Aug. 21, 1931, in Washington, Pa., a daughter of the late Martin D. and Helen Giles Carter. Marilyn worked for the former Bell Telephone in Washington, Pa., and was a member of the Bell Telephone Pioneers, the Ten Year Club and the Maplewood Presbyterian Church. In addition to her parents, she was preceded in death by her former husband, James B. Boswell; a brother, the Rev. Reed M. Carter; an infant sister, Beverly Dale; her son-in-law, Edward Pacek; and her daughter-in-law, Margaret Grace Boswell. She is survived by her daughter, Judy Pacek, of Greensburg; her son, James Boswell, of Westmoreland City; two grandchildren, Robert Martin Boswell (Michelle) and Stephanie Rhiannon Boswell (fiance Jonathan Gallagher); five great-grandchildren, Kylie, Carter and Colton Boswell and Angela and Eddie Cebula; and several nieces and nephews. Relatives and friends are invited to celebrate the life of Marilyn from 4 to 8 p.m. Wednesday in the CLEMENT L. PANTALONE FUNERAL HOME INC., 409 W. Pittsburgh St., Greensburg, PA 15601, 724-837-0020. A funeral service will be held at 10:30 a.m. Thursday in the Pantalone Funeral Home with Pastor Bobbie Hineline officiating. Interment will follow in St. Clair Cemetery, Greensburg. The family would like to thank the staff of Allegheny Health Network Hospice for their kind and compassionate care during their mother's last days. Marilyn's family has entrusted her care to the Pantalone Funeral Home Inc., Greensburg. To share your memories and photos, offer your condolences or for directions, please visit us at www.pantalone.com. Natale N. Pantalone, supervisor.